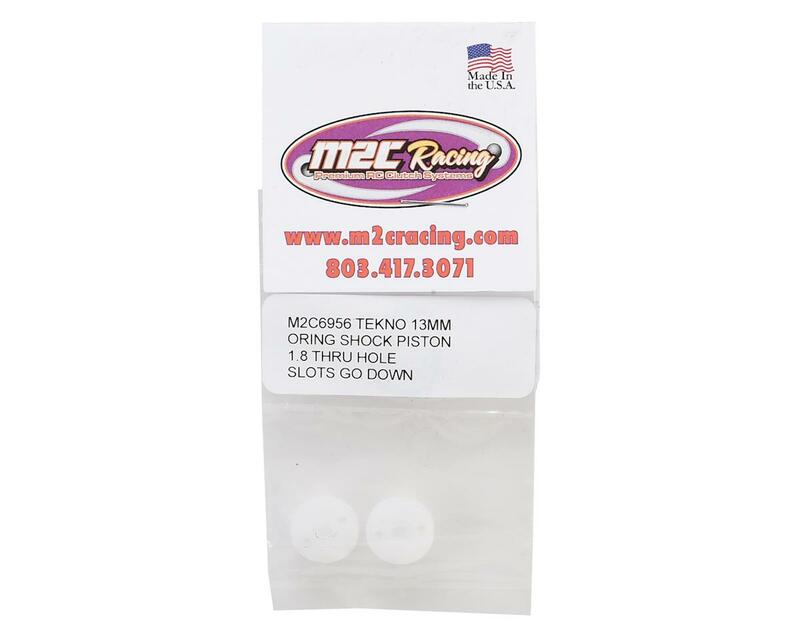 This is an optional M2C 13mm O-Ring "Thru" Shock Piston Set, including two 2x1.8mm pistons. 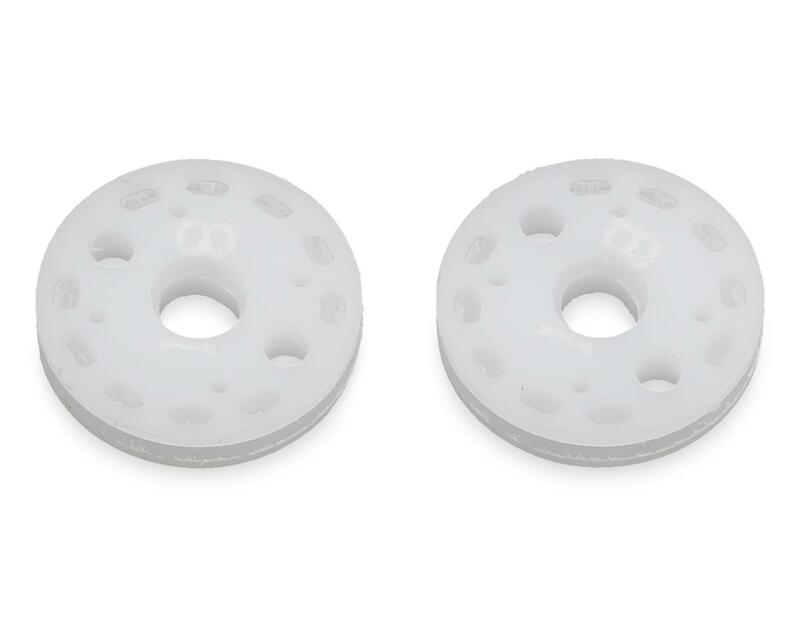 These pistons are made using Delrin material and incorporate an o-ring for a unique design to slow down movement one way. As the piston moves through the shock body, oil passes through the large holes, applying pressure to the o-ring, slowing the movement of the piston. This design gives you the option of changing the compression or rebound rate of the shock. If a faster shock re-bound is desired, face the large holes up, if faster compression is desired, face the large holes down. Note: M2C recommends the slots go down.